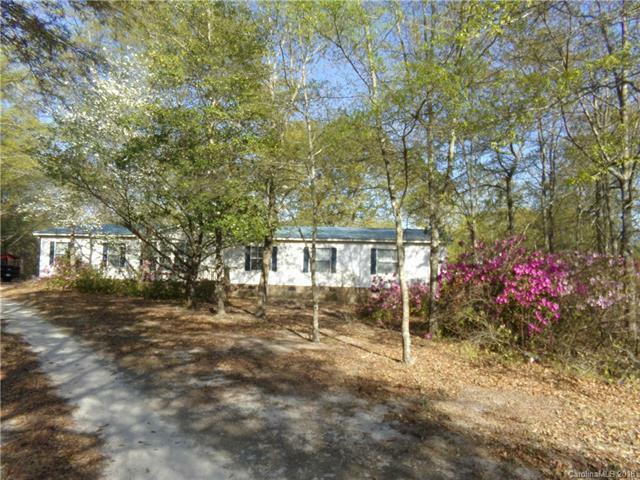 Don't miss this unique property situated on over 5.5 acres, with TWO manufactured homes, plenty of room to roam and lots of storage! The double wide is nestled among the natural landscape and the huge rear deck is facing the pond. They share the well, but have their own septic systems. The 28X76 double wide features split floor plan and master suite with double vanity, garden tub, separate shower, walk in closet and nursery/office. The kitchen with pantry features a smooth top range, refrigerator, and dishwasher. There is a great room with fireplace, dining and spacious laundry room. Two of the three secondary bedrooms also have walk in closets. The 16X76 single wide features 3 bed, 2 bath, eat in kitchen, living room. Storage including a 16X16 wired shop, pond, fencing, established apple, pear, plum, pecan chestnut, fig trees and more!!! Bring your horse and pets or just enjoy this spacious property with natural landscape, that is located in an established rural neighborhood.